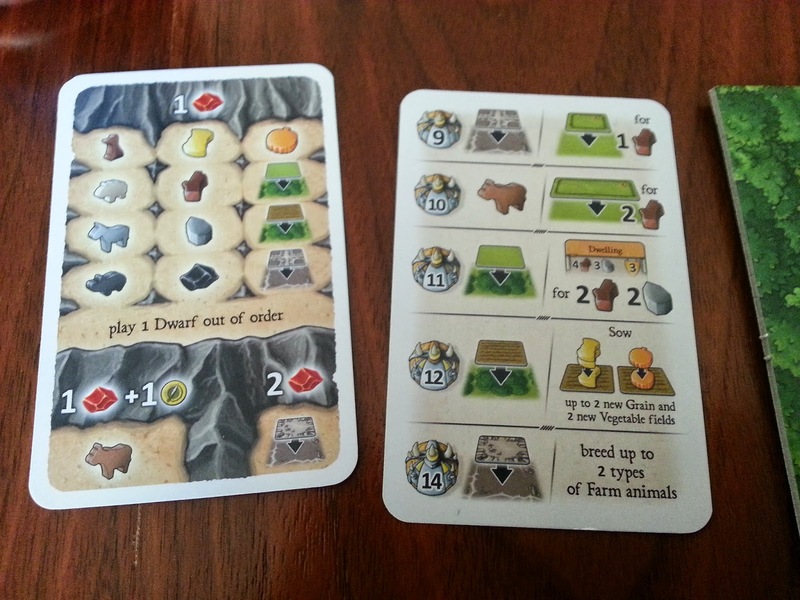 Agricola is definitely an obsession forming game, deep, complex, but utterly thematic with tons of variety. 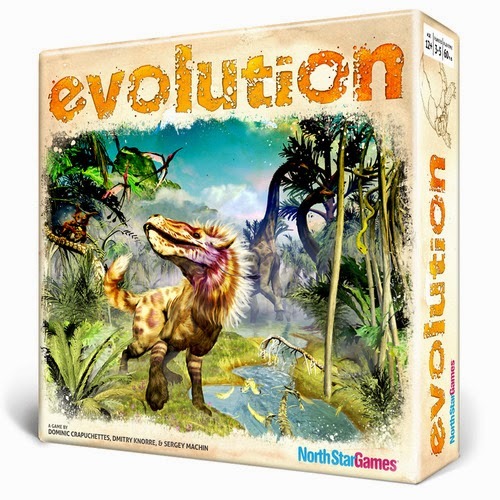 It was sort of the start of Uwe Rosenberg's nose dive into complexity. 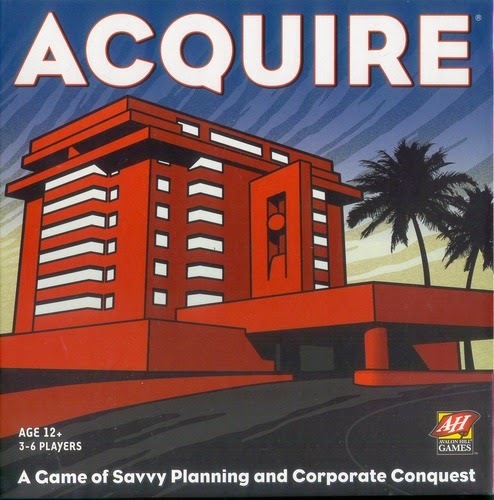 I mean, to think this guy designed great the great card games Bohnanza and Bargain Hunter and now he churns out crazily involved titles like Le Havre and At The Gates of Loyang! 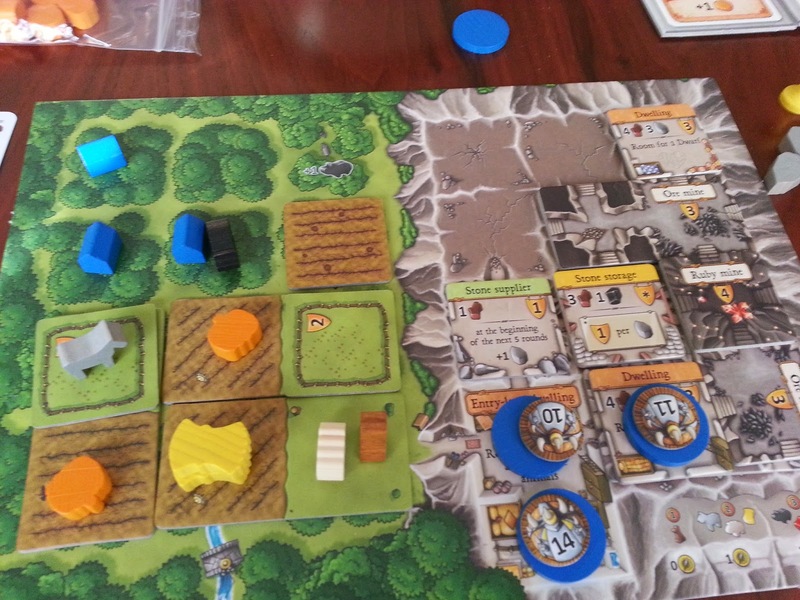 Caverna definitely feels most similar to Agricola and much of the game is nearly the same. 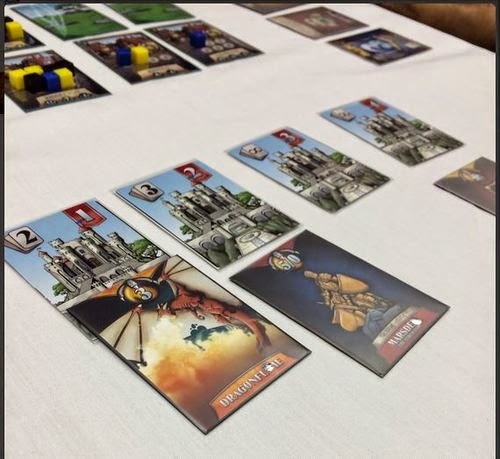 But after muddling through one game, this definitely feels like a tribute to the Uwe fans - tons of rules exceptions, a million things to have to read at all times, and way, way too many choices. 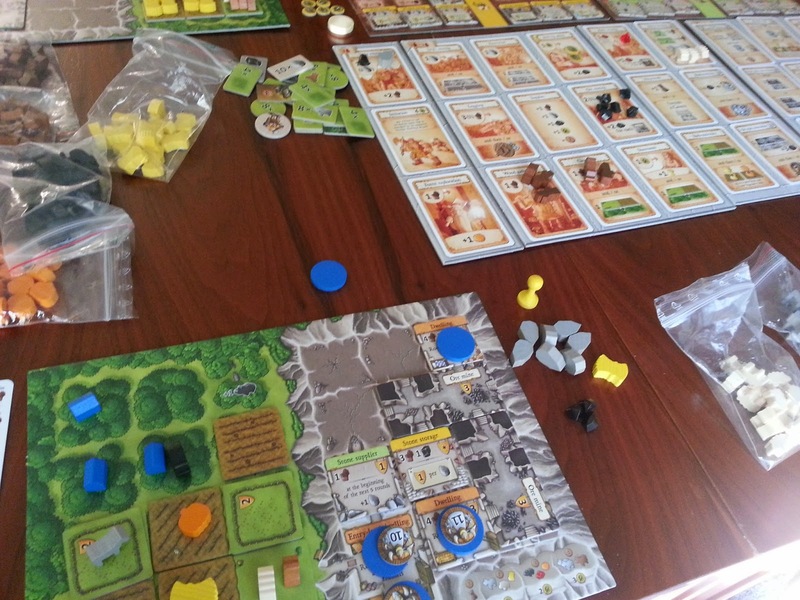 In fact, I think teaching this to someone who hasn't played Agricola probably isn't the best idea. Having said that, I enjoyed my first play but did terribly in the final scoring, despite thinking I was handling my own. 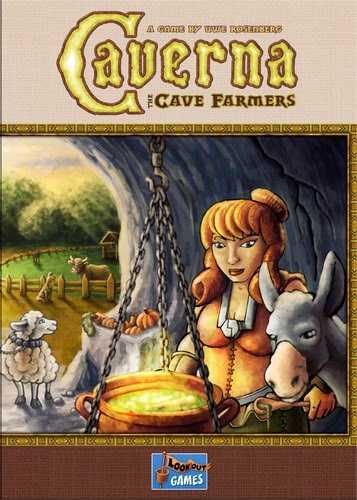 Turns out the "fingers in every pie" strategy that Agricola is known for doesn't actually work that well in Caverna. This game actually favours some specialization. And there are some interesting new elements - dwarf characters who go on expeditions and return with tons of loot. 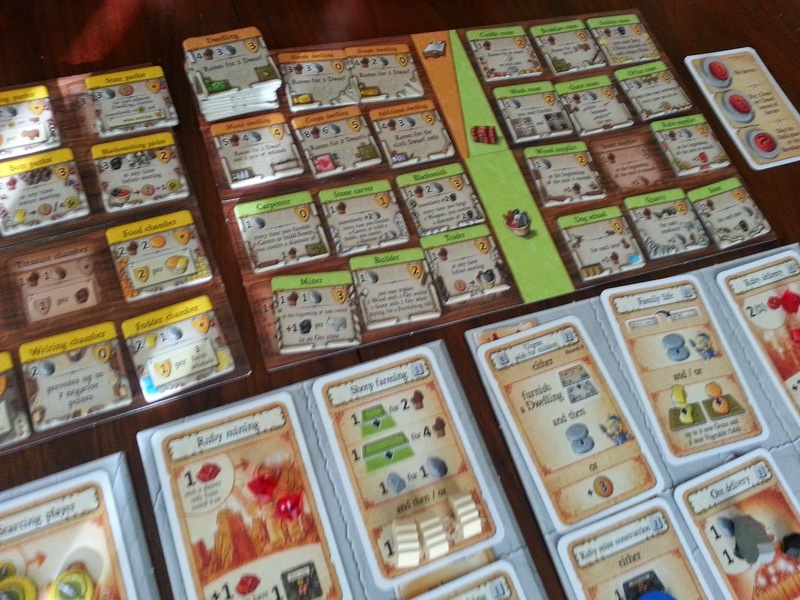 But even there, near the end of the game with a high valued dwarf it's possible to have to pick 4 different rewards (resources, land, animals, etc.) from a possible 16. And then if you pick a room for your home, you are looking at 40+ choices depending on what you have. So. Many. Rewards and ruby uses! Despite the criticisms, I'd like to play it again. The game feels more like a sandbox than any of his other games, building and playing in any direction your heart desires. 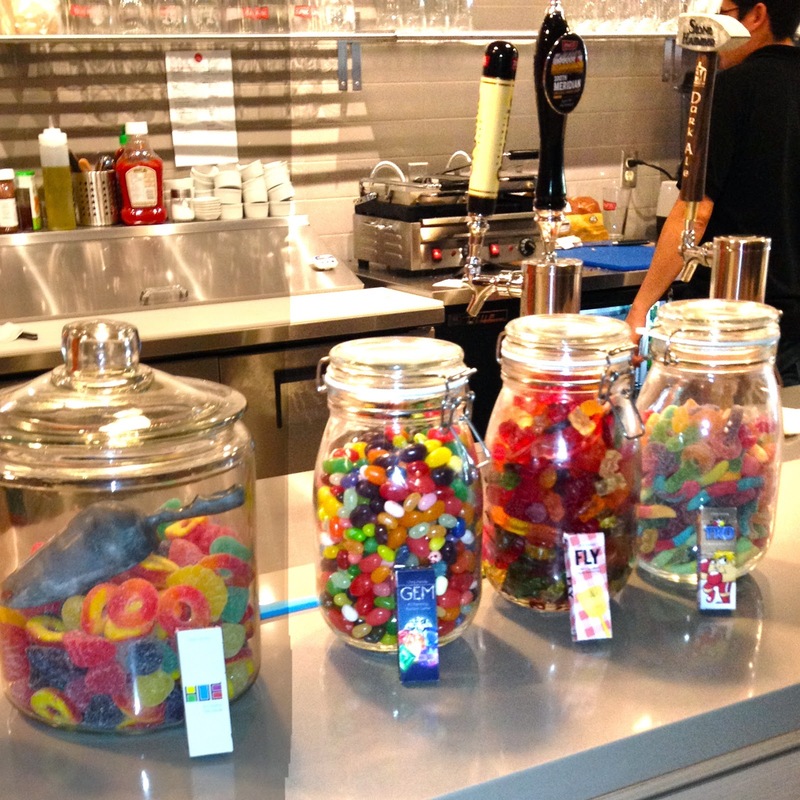 Choices piled upon choices. But after a 2-hour game with 3 people, I will never, ever play with the maximum of 7. Ridiculous. 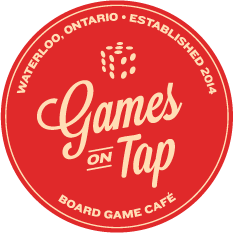 Daryl (me) just recently was hired as a game experts at Games On Tap board game cafe in Waterloo, Ontario, Canada. So it only seemed appropriate to bring the Pack O Games to work with me. 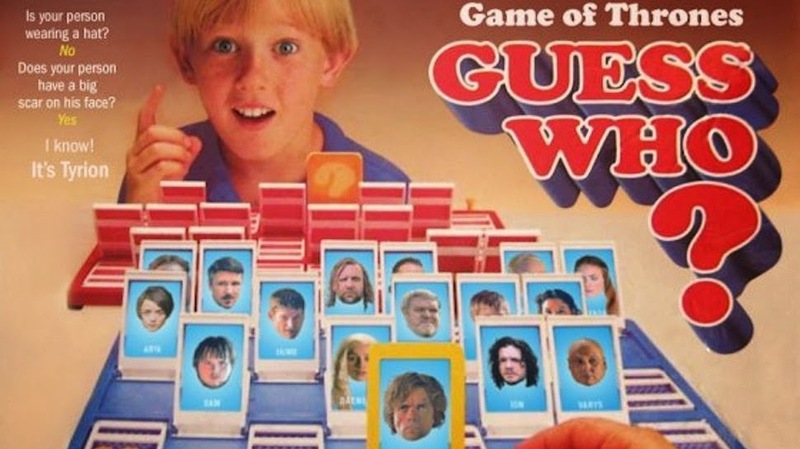 "Little Game. Lotta Fun!" 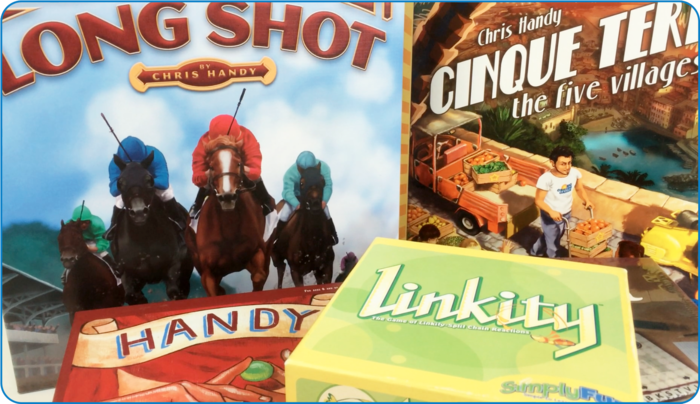 These Juicy Fruit stick-gum sized games, pack a great punch. 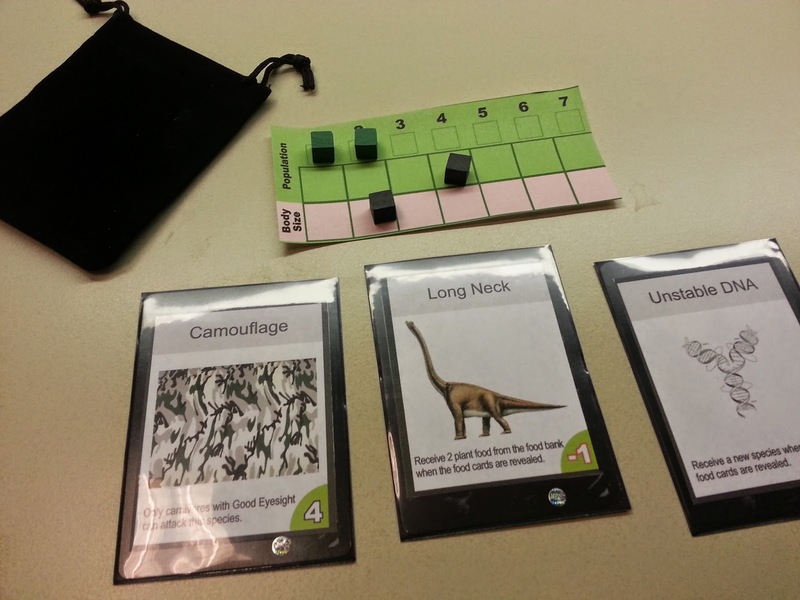 From Perplext Games, we find some wonderful micro packaged games designed by Chris Handy. That name might sound familiar because Chris is responsible for designing Cinque Terre and Long Shot. 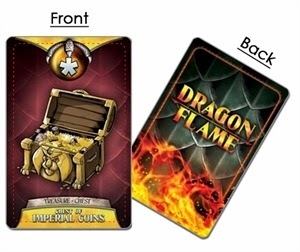 Currently, Pack O Games is on Kickstarter. 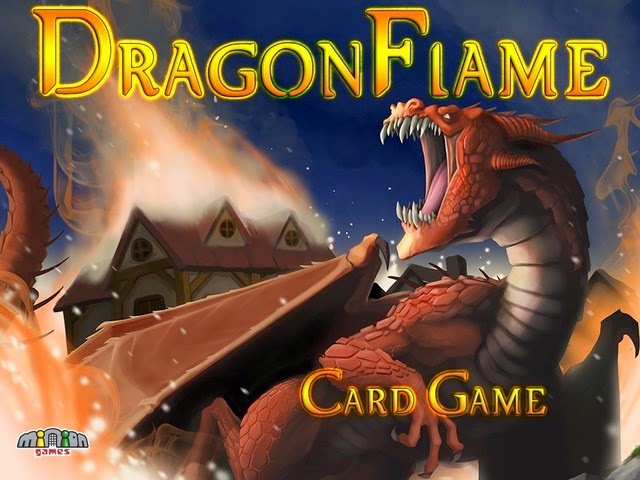 Please be sure to check out the Kickstarter campaign, and consider supporting this great game. Games like this are only possible when people support them. But if you are unsure if you want to purchase the games, maybe read on to see why we think they are worth your support! The Pack O Games are actually a variety of different games. 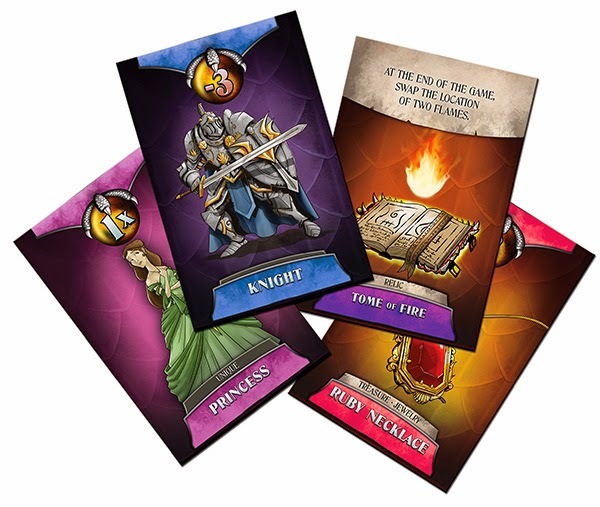 The Kickstarter pledge comes with4 base games included (HUE, TKO, GEM, & FLY). 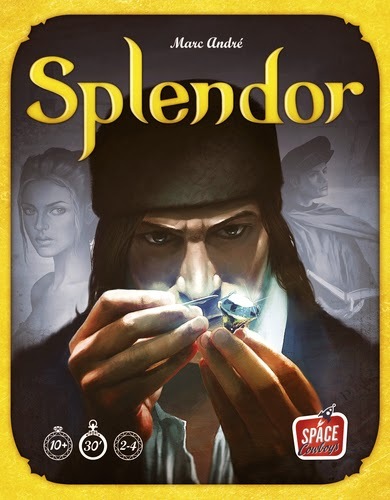 However, Im hopeful the game can reach many of their stretch goals so we can discover more games in the line like: TAJ, LIE, SHH, BUS, and maybe even more! Its actually pretty amazing how different each game is, while constraint to a tiny package. And not only does each game feature a very different theme, and very different game mechanic, but each game also feature 1 of 3 levels of play, so you can pick the best game for the type of player(s). It might be hard to believe, but these are not all casual light games. Do not be deceived by the small package. 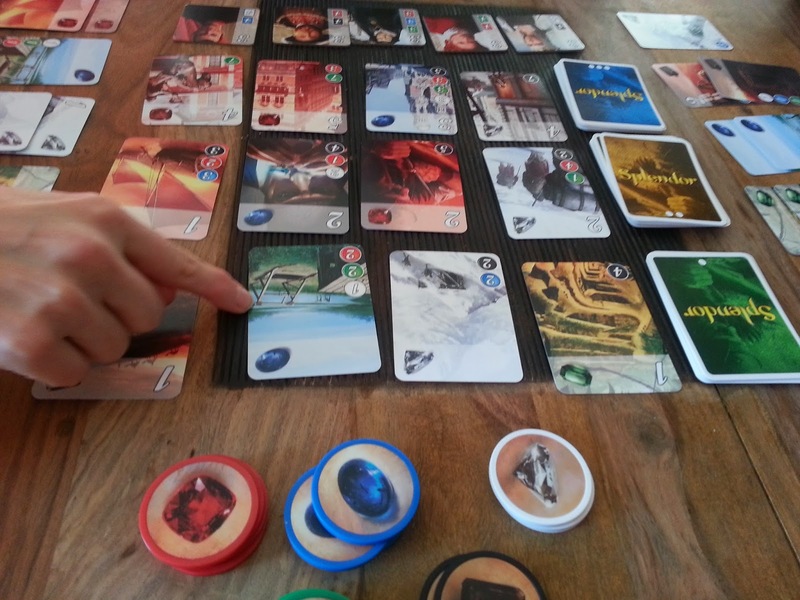 Some games offer very rewarding strategy and challenge. 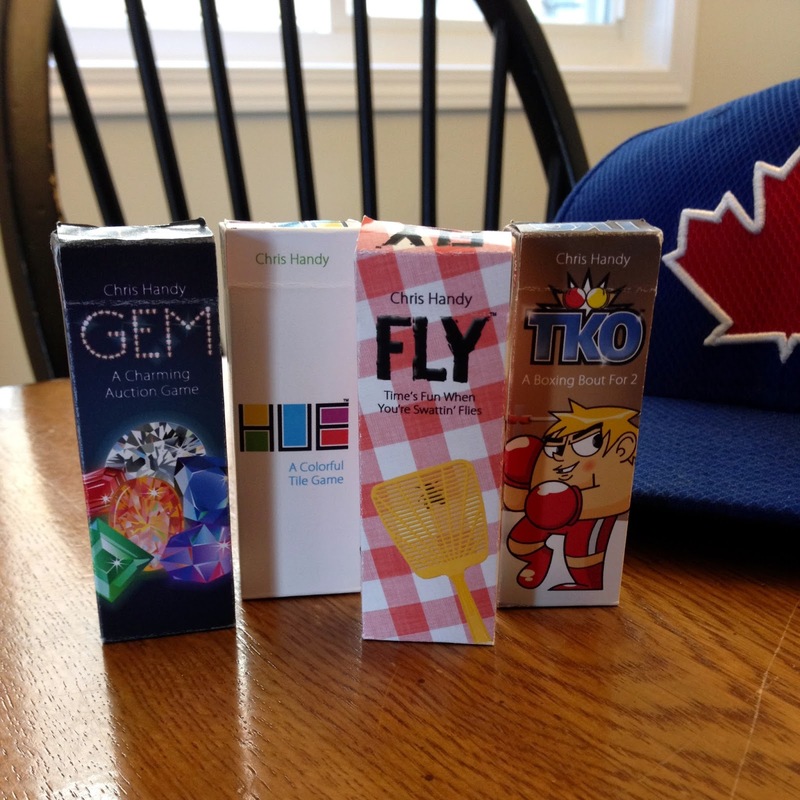 For the purposes of this blog, I will review each of the base games: HUE, TKO, GEM, FLY. 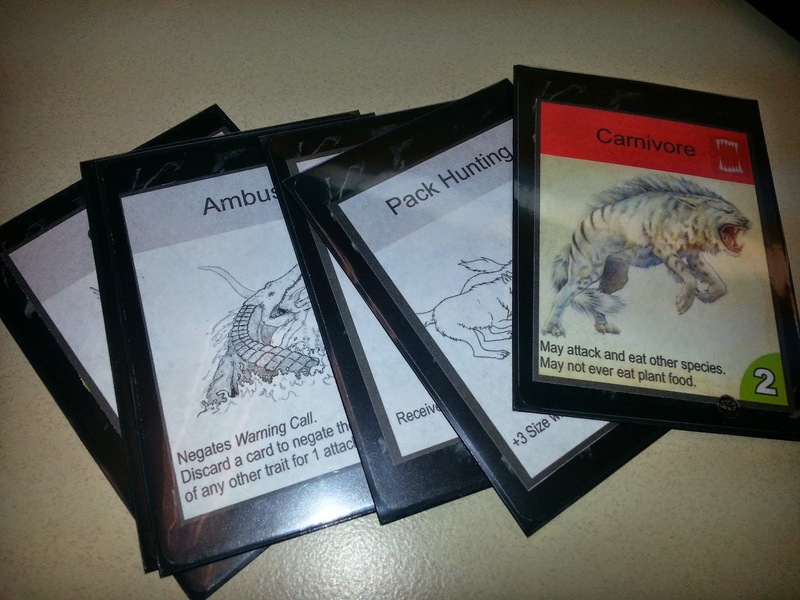 All the staff I showed the Pack O Game to at Games On Tap were excited to see these mini sized games. 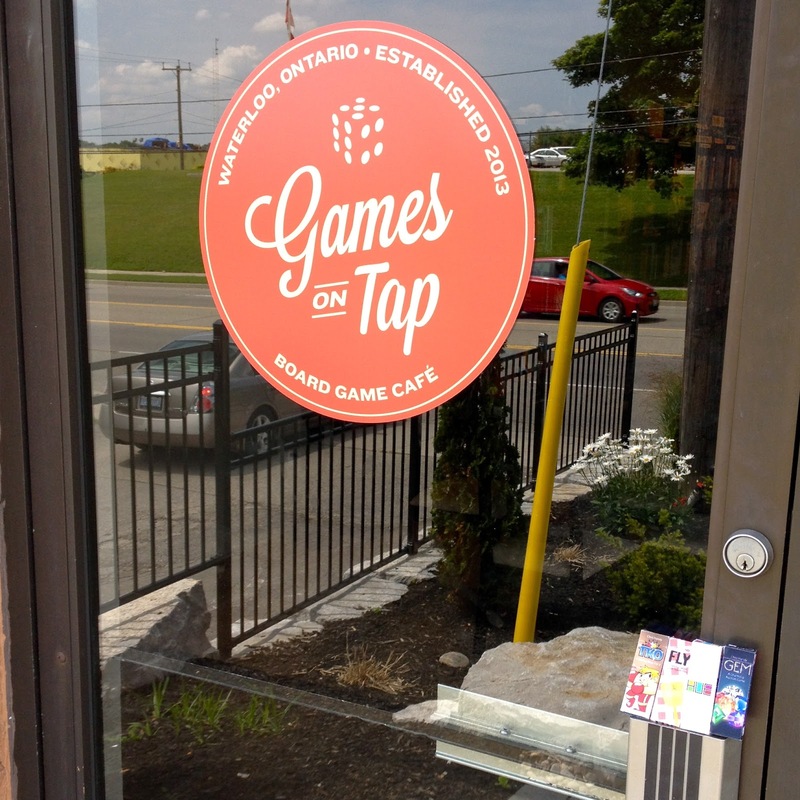 Hopefully in the near future, Ray, another game expert at Games On Tap, will post her review of each of the games. So stayed tuned to this blog to read that. I will start off by confessing some bias. I have had the privilege of hanging out with Chris Handy, the designer of the games, and I would consider Chris a friend. He is really a great guy, and if you have the chance to hang out with him and play a game, I highly recommend you do. However, anyone who knows me, would also let you know, I don't beat around the bush. I say what I think. Initially when I saw these cute little packaged games, I was sceptical. Sure they look good. 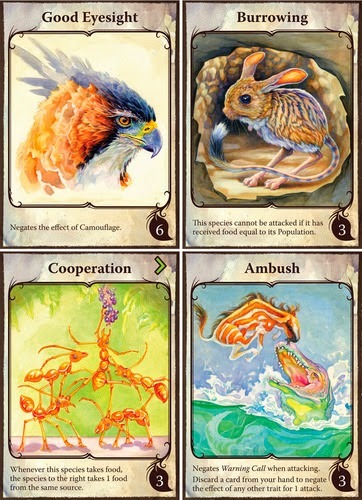 And I get the new wave of micro games. However, I was worried they wouldn't feature much game play. I was scared they would all be casual light games I would play once or twice and move on. I was wrong! These games might be small in size but massive on fun. Each game is unique and full of flavour. I am a big fan of this game. 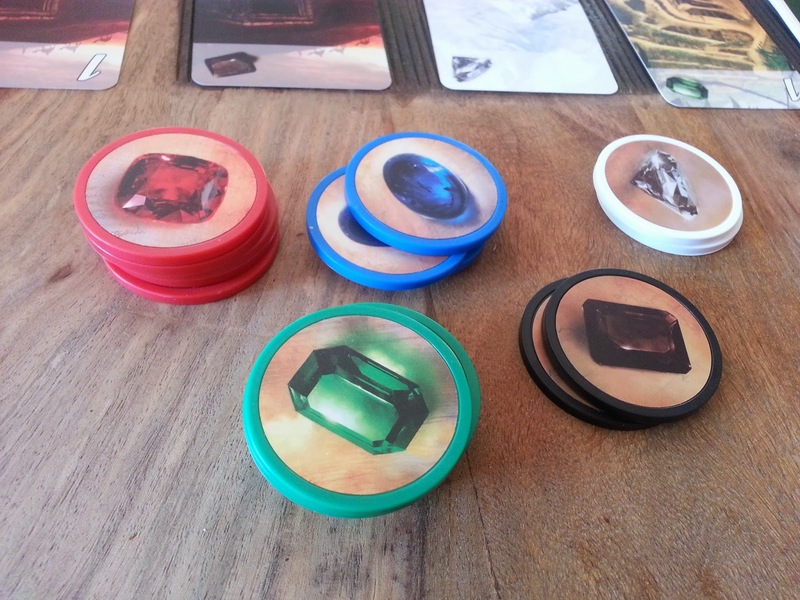 I was really shocked how a game with only 5 turns per player (or 4 turns with 5 players), can feel so satisfying. It just works. Each turn feels interesting and meaningful. It really has a tile laying/tactical feel to the game. 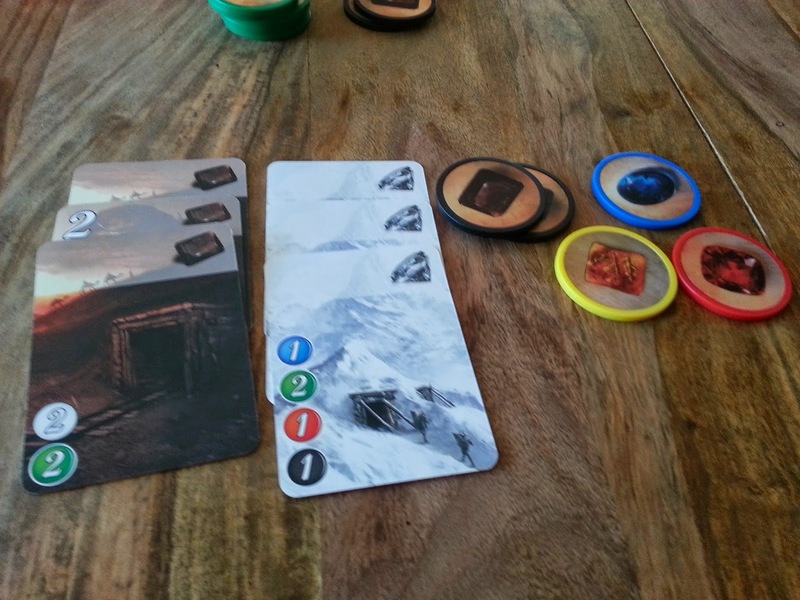 Its really fun seeing this game all splayed out on the table, and then looking back at the little card box. How did all this game fit in that tiny box?! "Its the eye of the tiger, the thrill of the fight." This game is a knockout! Each play features great head games. Will my opponent go for the massive uppercut, or block my punch?! I really appreciate that TKO is an easy to learn 2 player free swinging boxing game. I plan on carrying TKO around in my pocket anytime I plan on watching a sporting event at the bar, and pulling this out during the intermission. "Rising up the the challenge of my rival!" This game caught me by surprise. There is a deep auction game going on here. 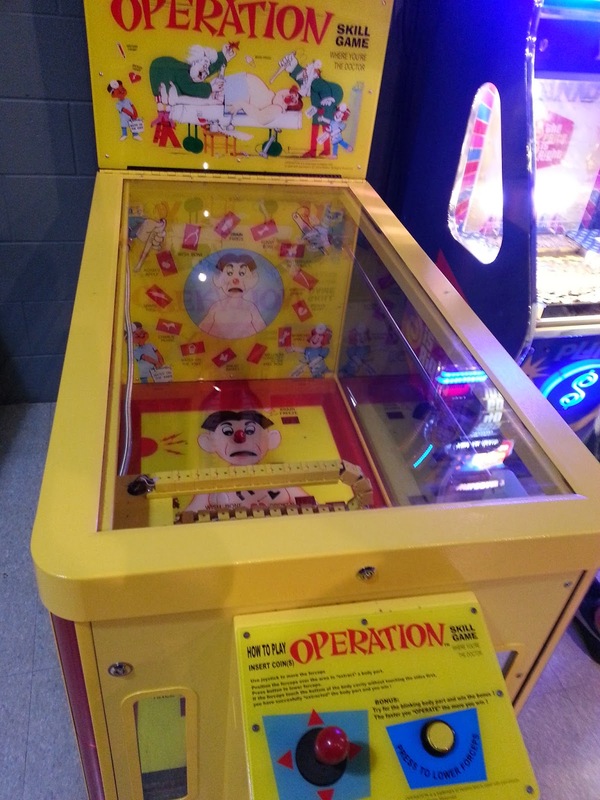 The game seems challenging to master, but was simple to learn. 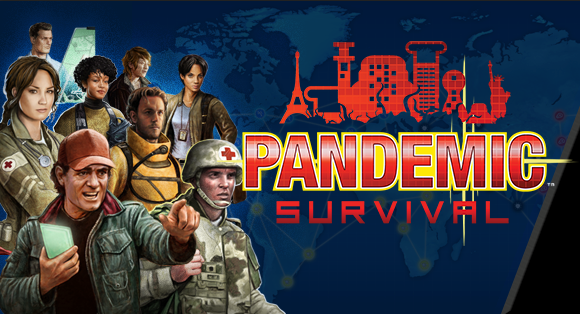 Treasure this tiny game, because GEM alone is worth the purchase of Pack O Games. 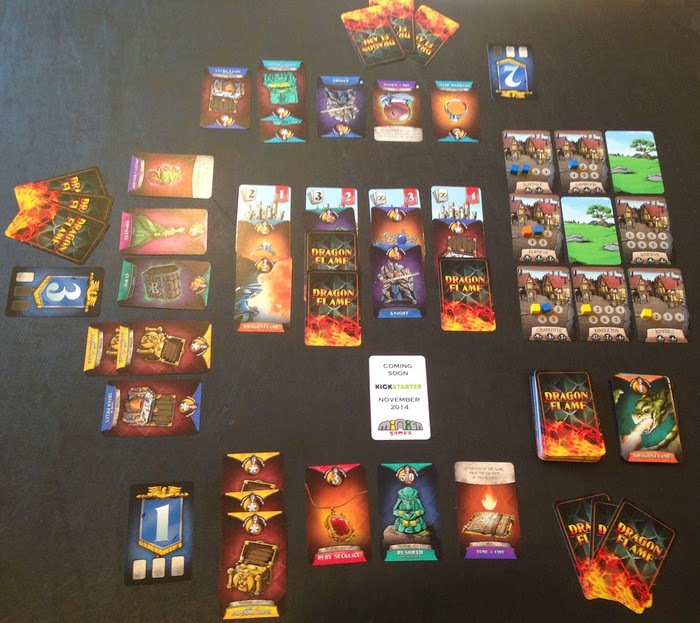 The card quality is top notch, and because of the unique size of the cards, its handy and doesn't take up too much table space. 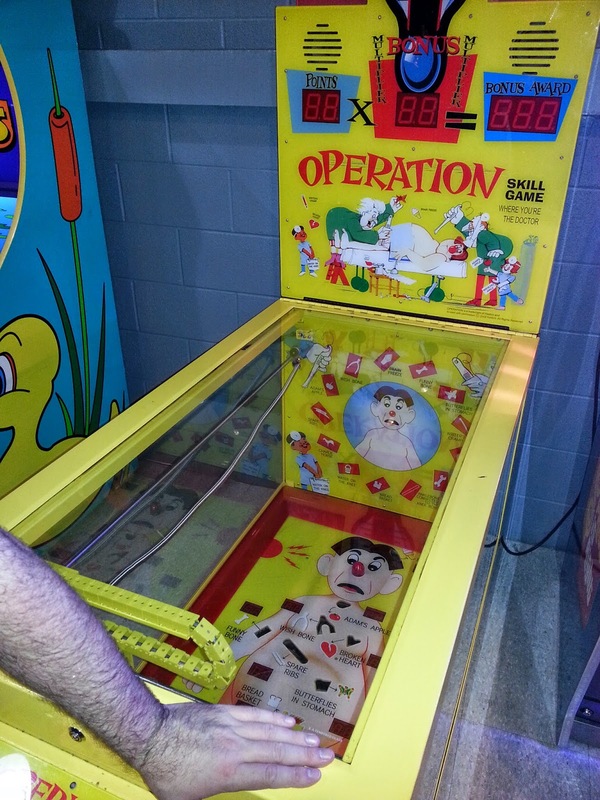 But I found this game took a solid 20-30 minutes to play. Personally, my favourite game was FLY. Such good laughter around the table. We started bragging and trying to drop the fly swatter higher and higher with each attempt. FLY, which only takes a minute to explain, and less than 10 minutes to play. But the theme is hilarious. Following in the tradition of 3 letter names, I most confess I LUV these games. 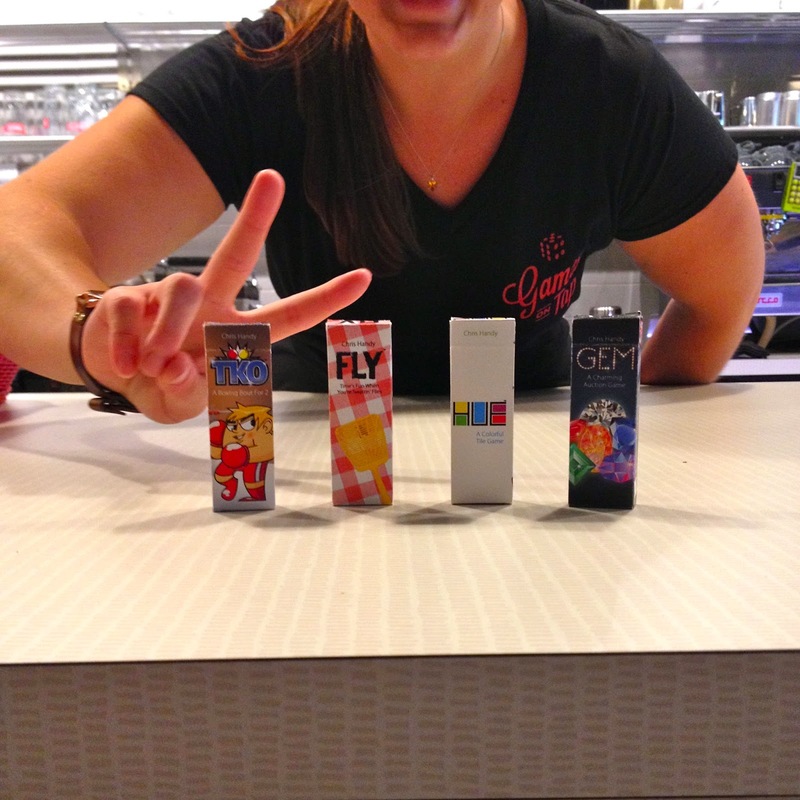 They are portable, affordable, & jam packed with FUN!